The show that provides the MLO with the strategy they need to succeed. Are you wondering how your business will hold up with all the talk of gloom and doom in a declining market? Have you ever thought of reframing the conversation instead? 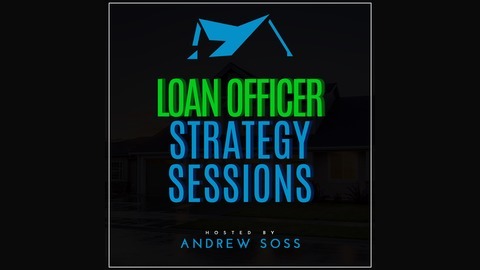 Sean Zalmanoff, from Next Level Loan Officer Coaching, joins Andrew on this episode of Loan Officer Strategy Sessions for a discussion on mindset, a changing market, lead generation, and the changing demographics of home buyers. You won’t want to miss this conversation so you can discover how to reframe the conversation and structure your business around you. Listen to this conversation to hear Sean’s sage words of wisdom. Many people think that a declining market is the end of the world. They say that the industry will be changed. That may be true but the real question is how will you change along with it? Instead of thinking that the sky is falling, one way to reframe the conversation is by realizing that it’s a great time to pick up market share and bring new people to your team. This is actually an amazing time to recruit new people. Find out what other opportunities a declining market can bring to your business by listening to this conversation. The story you tell yourself the most is the story that you’ll believe the most, so if you believe that there will be less business this quarter or year that is exactly what will end up happening. It is so easy to work 40 hours a week and stay busy without doing actual work to further your business. Having an action plan in place can further your business no matter what the market is like. It is even more important to have an action plan in a declining market. If you want to change your business then you’ll have to start with your mindset. Is the market shifting away from realtor generated leads? LO’s are in an aging industry. The average age of an LO is in the 40’s and the average age of a realtor is in the 50’s. There was a time when realtors were the only way to generate leads in the industry, but now there are numerous ways to find referrals. The most important part about generating leads is understanding where they come from. The mortgage business model is constantly evolving and you need to find out what works for your business and structure your business in a way that works for you. Where do you get your leads from and how do you track them? Many people say they don’t like working with millennials, but millennials are just people. As the industry ages, the home buying market is getting younger. Younger people tend to do their research beforehand and they may even choose an LO before they choose a realtor. Millennials don’t want their LO calling them every day. Figure out how they want to be communicated with and reach out to them in a way they are comfortable with. Listen to this episode to discover how to meet your business where they are. [5:22] How did Shaun get started as a loan officer? [8:47] How to grow when the market isn’t as great as it used to be? [22:32] How does he approach a coaching student with a negative mindset? [26:32] What are his thoughts on specializing? 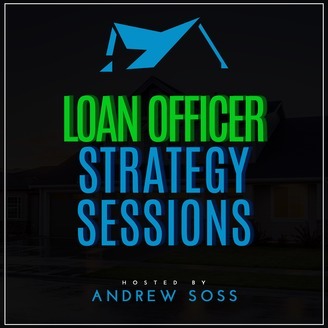 [40:28] Is the market shifting away from realtor generated leads?